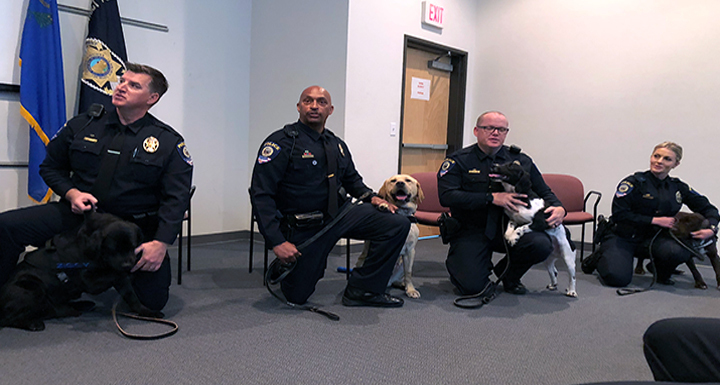 The Clark County School District Police Department held a swearing-in ceremony on Jan. 24 for four new K-9 officers, who will play a pivotal role in securing school campuses. The dogs are trained to detect guns and the presence of items associated with guns. For information on many aspects of school safety, click here.